In ‘The Wood’, you will find all kinds of surprises hidden in the undergrowth and along the leafy pathways. It’s just a stick’s throw from the Pyramid and John Peel stages. 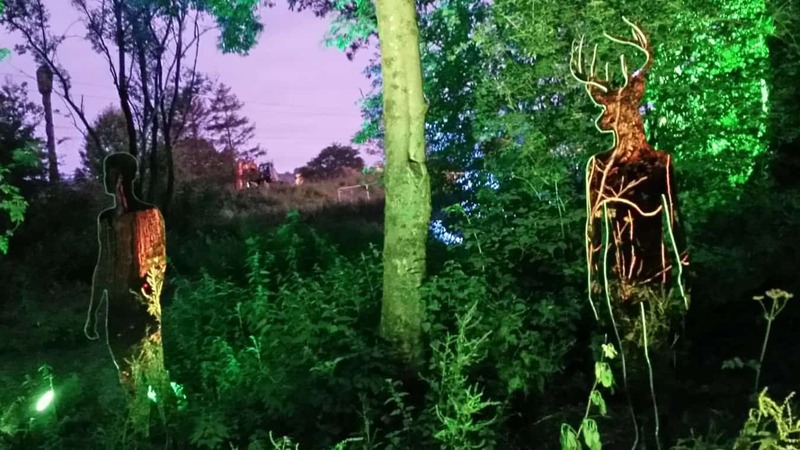 With a large area to cover, we worked with the Glastonbury Glade area team to have some fun with illuminating various parts of The Wood area. Using dozens of LED tubes, LED bars and outdoor RGBWUAV parcans, we lit up artwork, trees, pathways and bushes. We also installed a large mirrorball with two Nebula R7s, and a large smoke machine to create a starry atmosphere in the clearing.